Garden City, New York, USA. March 9, 2019. 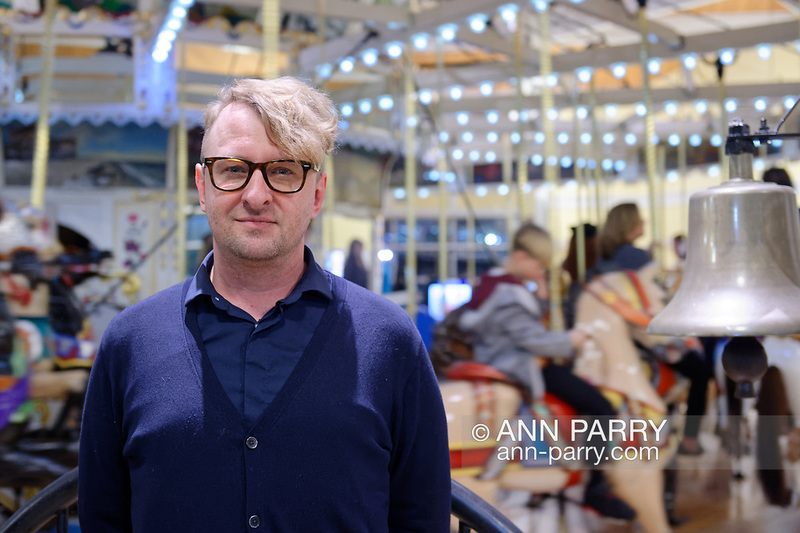 Artist MICHAEL WHITE stands in front of Nunley's Carousel during Unveiling Ceremony of his mural of the carousel's lead horse.